Freeview Plus has become name synonymous with giving Australians access to free-to-air digital television and a host of catch-up services. 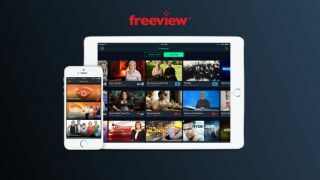 While it has done both things admirably since the launch of its app in 2014, Freeview has now announced that a "significant upgrade" to its service will be launching in June. The overhauled platform promises to provide users with "a more simplified user experience and sophisticated look and feel for the catch-up service." Described as a "new platform", the reinvigorated Freeview Plus "will join the world-first and award winning Freeview FV mobile app in Freeview’s suite of products that are designed to make watching free-to-air TV more convenient and flexible than ever before." According to Freeview, there are roughly 2.2 million Freeview Plus-enabled TV receivers in Australia, and around 85% of those have been connected. Expect the upgraded Freeview platform, which will launch with refreshed branding and a new logo, to turn more than a few heads when it arrives next month.